All of our popcorn is hand coated, creating layer upon layer of delicious flavour. We build on a buttery sweet caramel foundation with top notes added by each flavour's key ingredients like Teeling's Small Batch Whiskey and Galway Bay Brewery's Buried at Sea Stout. We pride ourselves on our commitment to artisan processes. Every batch that comes out of the oven has its own uniquely delicious character. This is what makes Popsy Daisy popcorn so tasty. So get stuck in and enjoy! 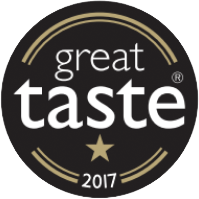 We're delighted to have been recognised with a 2017 Great Taste Award from the Guild of Fine Food and a Gold Award from Blas na hEireann. Thanks as well to Biz Plus and Hot Press for getting the word out about our products! I founded Popsy Daisy in 2016 after 20 years as a corporate worker bee and a lifetime as an environmentalist. I don't have a background in food production (beyond cooking for friends and family) but I do love food - particularly high-quality natural foods made from sustainable sources. I moved to Dublin from the States in 2012, and while there are many things I love about Ireland, one of my favourite things is being a part of the local artisan food community. 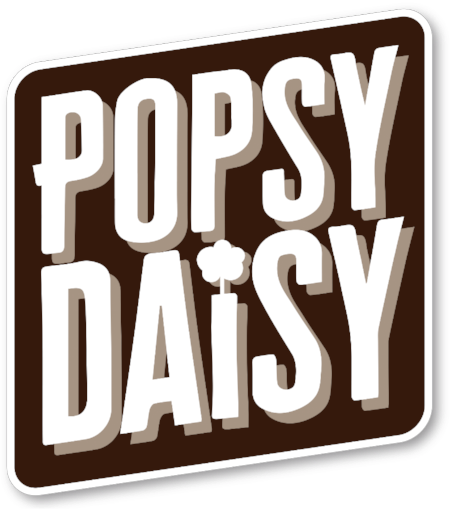 I founded Popsy Daisy because I wanted to offer people an alternative to mass-produced "middle of the road" sweet & salty caramel popcorn. I also wanted to feature other artisan producers - people who care as much about their products as I care about caramel popcorn. Popsy Daisy popcorn is the snack you’d make for yourself if you had the time.